Hoping to bring in more customers, the American fast-food chain giant McDonald’s has recently announced that it will be adding a big and three new breakfast sandwiches that will hit the stores from November 1. It’s very competitive out there at breakfast says CEO Stephen Easterbrook. He further reported that the company is still losing a little share in the market and it continues to be one battleground for the fast-food giant. Further looking to do better at breakfast, McDonald’s Triple Breakfast Stacks is reportedly the improved version of McDonald’s popular Egg McMuffin. The sandwich will include two sausage patties, two slices of American cheese, thick-cut Applewood-smoked bacon, and egg patty – forming the “triple stack.” Sources also reveal that the Triple Breakfast Stacks will not only come with mega sandwiches including three times the amount of meat than that of the regular Egg McMuffin, but will also be offering a choice of a buttery biscuit, or a McGriddle cake, and a McMuffin bun. Mconald’s revealed in a company statement the idea was apparently inspired from the customized orders and diners that created their own mega sandwiches by combining McMuffins with McGriddles for instance that the customers had requested over the years. Chef Mike Haracz, Manager of Culinary Innovation explains that the customers have been constantly hacking their menus so much so that it inspired the new Triple Breakfast Stacks – creating a Big Mac that will be readily available to its breakfast customers. As revealed by CNN Business, once the king of breakfast food McDonald’s is gearing up to fill the gap as its competitors Dunkin’(formerly known as Dunkin’ Donuts) and Taco Bell have both being already serving breakfast for budget-conscious customers. 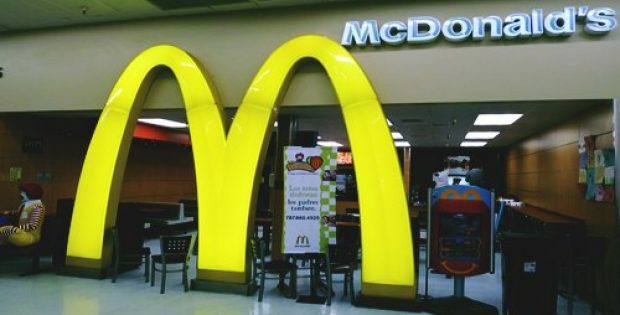 According to the sources familiar with the matter, McDonald’s is hoping that its big new breakfast options will have a good shot at turning around its fortune.